This warranty extension provides an additional 2 years of service for a total of 3 years, and includes parts, labor, phone support, shipping, and depot repair. 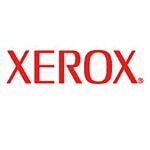 Xerox Depot Service is the most cost-effective way to repair and have your original unit returned. It includes telephone troubleshooting, parts, labor, plus return shipping.